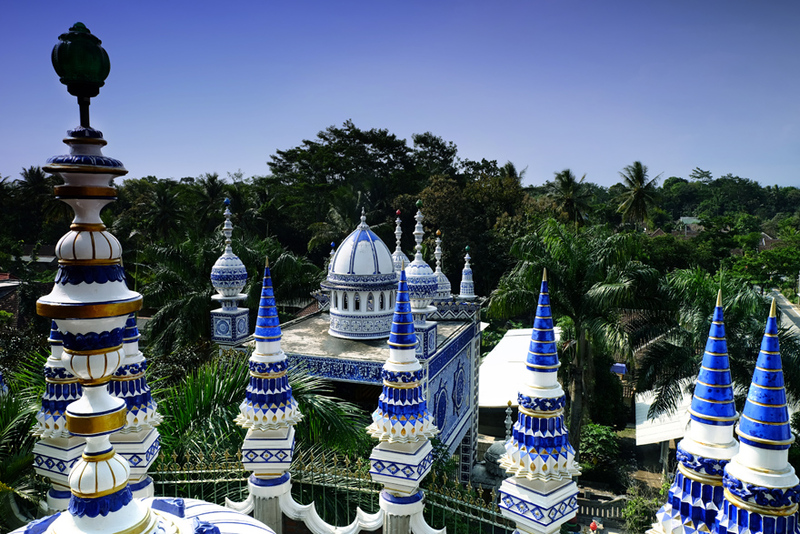 One more beautiful city to visit while you are in Indonesia is Malang. The Malang city, together with the Batu city at its northwest and the Malang Regency, shape an area called the Great Malang or the Malang Metropolitan. 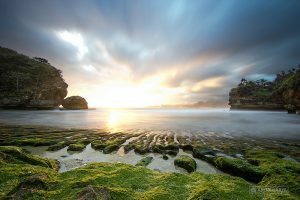 Most of the Malang area is mountainous, while its southern side consists of coastal areas with exotically beautiful white sand beaches. Two things commonly come in mind when you hear the name “Malang”. First, it’s coolness. Yes, this small town in East Java province is located in a mountainous area, and that’s why it’s always cool there. Well second, it’s apple. Yes, this town is full of apples, and you can easily find apples literally anywhere in this town, from private residents’ front yards to big plantations. 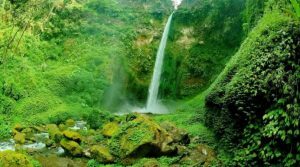 Besides the two commonly well-known things about Malang, there are many other tourist attractions you can find here, which make Malang one of the tourism icons of East Java. Excellent accommodations from five-star hotels to ordinary inns are easy to find, as well as transportation access to key tourism spots. 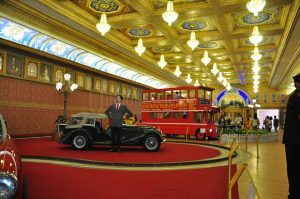 Here are some of the most preferred Malang attractions. 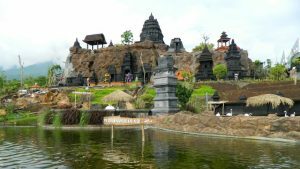 What to do in Malang Indonesia? 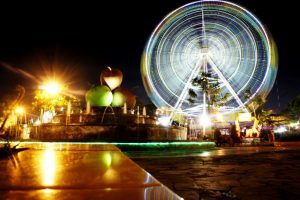 This recreational and educational park is one of the best-loved tourist spots in Malang, with dozens of venues standing ready for your family entertainment. Covering an area of about 11 hectares, this attraction park is located in the Batu region, approximately 20 kilometers from the Malang city center. 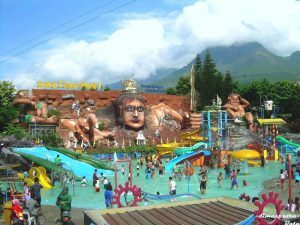 One typical spot of this place is a swimming pool with a carved face of Ken Arok, a figure of a Javanese saga, at the background. Usable by both children and adults due to its various depths, this swimming pool is also equipped with diverse kinds of surfing boards. Other recreational venues are the Flying Tornado, Gokart, Mini Jet, Spinning Coaster, etc. where you can have all the fun. As for educational venues, it has the Science Stadium where you can find information and exhibitions on various branches of science. It also has ethnic galleries of East Java and Papua where you can find miniatures of traditional houses from those two regions, the wayang puppets and all manner of handicrafts. 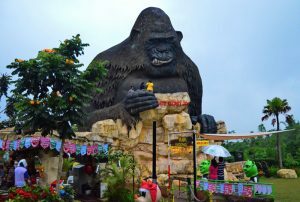 Still in Batu region, you have another Jawa Timur Park, only that this one is specialized in natural tourism. There are two zones of natural attraction you can find here, i.e. 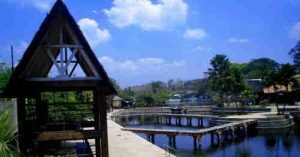 the Batu Secret Zoo and the Zoological Museum. In the Zoological Museum, bodies of various species of animals from all over the world are preserved and displayed in sets made so closely similar to their original habitats. These animals died of natural cause and not hunted down, just in case you’re concerned about their origins. Replicas of giant dinosaurs are displayed here as well, where tourists mostly love to make photos or selfies. Many species of insects are also preserved in the insectarium. Further to the Batu Secret Zoo, now it’s time to see living animals. Amazing venues such as the Tiger Land and the hippopotamus pool are but a few among many zoological attractions you’ll find in this spot. You can also sail along a river with artificial water current. Need more than one day to explore all the available venues? Then you can stay overnight at the Pohon Inn Hotel, a unique tree-shaped hotel with an artificially mountainous surroundings. Besides for tourism, this park is also suitable to educate your children about environment. If you’re fond of eco-tourism, then this spot is a must-visit for you. Many kinds of fun and environmental venues here will take you through numerous entertaining and educational experiences. Upon entering the site, you’ll be welcomed by a big elephant statue made of used televisions. You can either walk or hire an e-bike to explore the venues spreading all over the park. Using the e-bike, you’ll be charged IDR 100,000 for a 3-hours ride. One of the venues, the Jungle Adventure, will give you fun, entertainment, and environmental education at the same time. You’ll be taken for a ride by an open train, and while riding through the jungle you’ll be shooting “illegal hunters” you encounter all along the way. Having to shoot while being on the move will surely be both challenging and fun. There’s another crazy-but-fun venue called the “Upside Down House”. Everything in this house is positioned upside down, even the floor and the roof. Finding all items in the house such as chairs, tables, and lamps in such upside down positions, you’ll feel like Spiderman crawling around. Some people easily get dizzy, and if you’re one of them, you’d better not spend too much time in there. You don’t have to worry upon getting out of the Upside Down House, because many more entertaining venues are waiting out there. Fun spots such as the Duck Kingdom, the Animal Farm, the Eco Science Center, and the music-playing water at the Music Plaza, are but a few among your many choices to explore next. If you used to think of museums as boring places, you might immediately change your mind upon visiting this spot. Here in the Museum of Transportation you’ll find many information and numerous models of transportation vehicles from all the world’s history. A wide range of vehicles from old-fashioned bicycles to F1 race automobiles are displayed here. The vehicle models are spread throughout 10 zones, e.g. the Educational Zone, the Italian, the French, and particularly the Batavian. Each zone is uniquely designed to as closely resemble the original, including its streets and typical landmarks. You’ll certainly find each one of these zones an amazing spot to make photos. If you’re hungry, as you most possibly will be after a round-walk and exploring all the zones, don’t forget to visit the Floating Market to find and enjoy your beloved culinary. 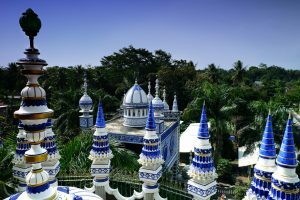 If you’ve ever wondered why a religious building could be an interesting tourist attraction, the Tiban Mosque does have good reasons for that. No entrance fee is required of any visitors, and you just have to ask for permission by the mosque keeper. One of the outstanding features of this mosque is its architectural style, as a result of the Mideast, Chinese, and modern styles combined. Such architecturally exotic appearance makes the mosque a favorite background for taking pictures. The mosque is a part of an Islamic boarding school complex which also includes a swimming pool complemented with a boat assigned for little children only. Animals such as the deer, monkeys, rabbits, and various kinds of chicken and birds are also kept here. It’s no surprise that many travel agencies include this place to their tour packages. 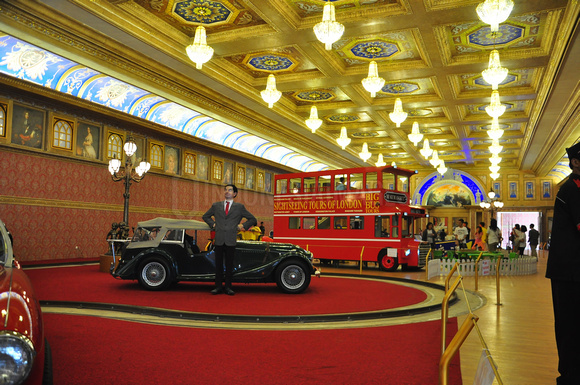 If you feel like getting too used to daylight tours, try a night tour at this attraction spot. The Batu Night Spectacular opens from 3 p.m. to 12 a.m. With a sphere so much like the evening market of old days, even with the children’s favorite merry-go-rounds, you’ll feel like returning to your childhood days. You can watch the Dancing Water Fountain, which changes colors along with the music being played. Another attraction here is the Decorating Lamps Garden, where various kinds of colorful decorating lamps are beautifully displayed, ideal to be your photos’ background. Don’t miss other attraction venues such as the Haunted House, the Mouse Coaster, and the Avatar. As a result, it’s the best family attraction. This small island, located about 75 kilometers from the Malang city center, is regarded an “earthly paradise”. 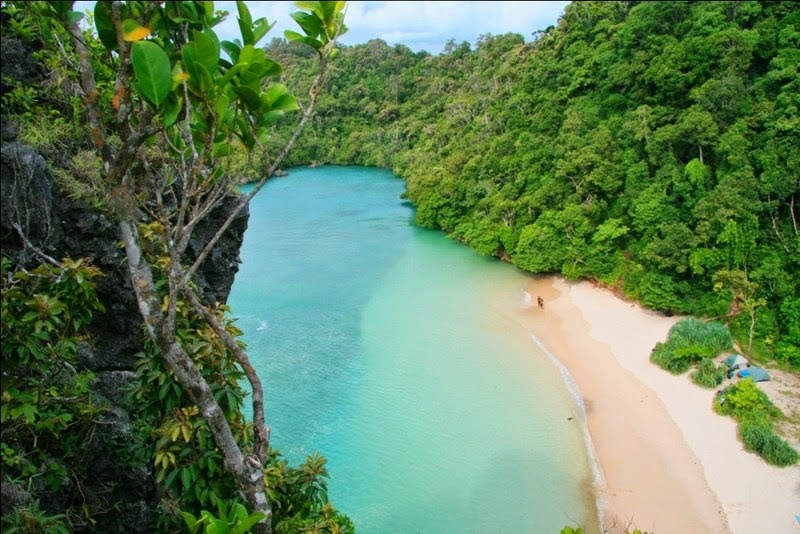 The Sempu Island is officially maintained by the city government as a natural conservation area. This beautiful island has quite virgin-like natural attractions such as coastal forest, tropical forest, and mangroves. The most interesting spot in this island is the Segara Anakan, a lake which receives its water from the Southern Sea waves flowing out of a cliff’s hole. It looks a bit like the Phuket Beach in Thailand. You can see through the cool and exceedingly clear water right to the lake’s bottom. You’re free to swim, to fish, or just to play on its white sand. 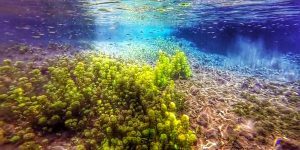 First, you’ll need to travel with a fishermen’s boat from the Sendang Biru Coast to reach this island. Keep the boat owner’s cellphone number to have him pick you up on your way back. Upon your first footstep on the island, a long way through the conservation forest already lies ahead. Make sure you’re physically prepared for a long and exhausting trek. Nevertheless, reaching the shores of Segara Anakan with its natural beauty and fresh air is more than worth all the sweat. If you wish to enjoy this island a bit longer, camping is the only way since this conservation island is totally unpopulated. This attraction park has two kinds of water fun spots: the natural pool and the artificial pool. 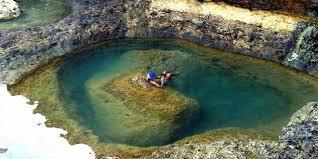 The natural pool is about two meters deep, and the water temperature is about 18-25 Celcius degrees. The water in the pool is believed to give you long-lasting youth and longer life, but it’s up to you to believe it or not. As for the artificial pool, it seems to be more attractive, especially for children. It has various kinds of surfing boards and a giant watering pile hanging above the pool. Beside these two pools, the water park also has an artificial lake and another pool for fishing-lovers which also has several game attractions. Other fun venues available here are the Wave Pool, the Current Pool, the Carousel, the Water Bike, etc. The typical feature of this Wendit Park is the existence of dozens of monkeys freely strolling around on the ground and on the trees. Several ancient sculptures are also on display here in the park. Typical handicrafts are being sold here for souvenirs. If you think a rainbow is solely an after-rain phenomenon, think again. 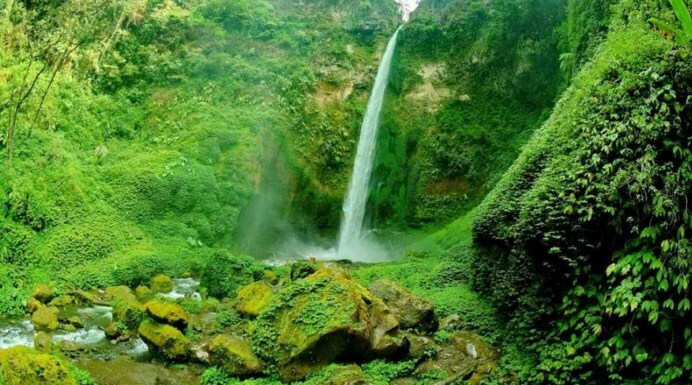 Here in Coban Pelangi, about 132 kilometers from Malang, you have the chance to see a rainbow appearing among the waterdrops of the 30-meters high waterfall. While waiting for the rainbow to show off itself, you can play with water next to the waterfall, enjoy the culinary at the nearby food store, or just relaxing at the pendopo. This natural spot is located at the altitude of about 1,300 meters above sea level. You’d have to go through a pine forest, up and down the hills, and across a river to get to this place. Nevertheless, the long and exhausting journey will certainly be covered by the refreshing cool air and the beautiful scenery you see all around you along the way. 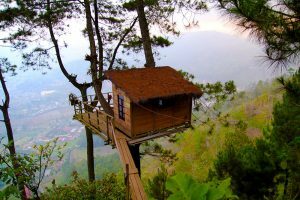 This is actually an inn shaped like a tree house, thus the name Omah Kayu which literally means “wooden house”. Located in the Batu city, here you can relax and watch the whole rice field areas from a high point in the mountains. This place also constitutes a romantic spot for honeymoons or pre-wedding photo sessions. Being basically a lodging place, here you can stay overnight by a mere IDR 250,000 to IDR 300,000 charge. By the top of the tree, you will the best view of Malang. Indeed, it may challenge your adrenaline but it’s totally beautiful. Also, you may bring back to your childhood where you used to playing with your childhood best friends at the top of the tree. You can rightly say this natural tourism spot is just as beautiful as its name. This watery spot with its blue-greenish water looks a bit like the Angel’s Billabong in Bali. This is a perfect getaway for those seeking tranquility and refreshment due to its isolated location. Make sure you’re physically fit enough and don’ forget to take sufficient food supply since it takes a pretty long way trekking to this location. Usually it takes about 30-40 minutes trekking from the neighboring Mbehi Beach to the Angel’s Bay, and you’ll be accompanied by a guide with a mere IDR 10,000 per person charge. You’ll be passing by a conservation area, so be careful not to make any damage. Since the location of this beach is directly facing the Southern Sea with its gigantic waves, it is not an ideal spot for swimming or any other similar aquatic activities. Nonetheless, this is an amazing place to enjoy an astonishingly beautiful coastal panorama, especially at sunset. The more glamorous the scenery will be at low tides when the rocky cliffs are visible, ready to be captured as the foreground to the sunset. Besides as a leisure spot, this beach is also a favorite camping ground. Supporting facilities such as a 24-hour parking lot, toilets, and food stores, are all available. Other than the IDR 5,000 entrance fee, there is no extra charge for campers. As a result, you can then just enjoy its beauty the whole day. This relatively new tourism attraction has a waterfall which water drop flows right to the sea. The combined scenery of a waterfall and the beach makes a refreshing view and sphere for visitors. 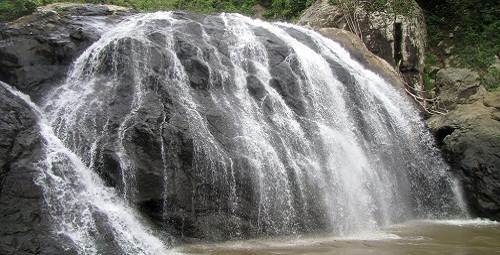 There is a natural pool at the upper side of the waterfall where you can enjoy yourself in the fresh water. You can reach this spot by an about 30 minutes walking from the Tirtoyudo village and passing by small paths and canyons. This is another natural spot where you can swim or dive in exceedingly crystal-clear fresh water. What’s typical about this water spring is the beautiful green algae growing at the pool’s bottom, which adds up to its amazing underwater scenery. There is no entrance fee to get to this beautiful spot. There are float rentals for little children or adults who can’t swim. 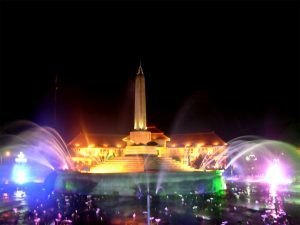 One of the best things to do in Malang East Java Indonesia is to visit Batu Town Square. Far from being an ordinary town square, this spot has been turned into a magnificent recreation park. In fact, it is the only town square in Indonesia which is complemented with a Ferris wheel. You can have a dazzling round-view of the Batu city from atop this venue. 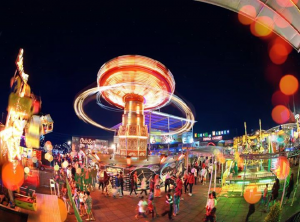 There are also other fun spots here such as the playground with sliding boards for children, water fountains, and an apple-shaped building used as toilets, referring to the “apple” as Malang’s typical icon. It is located next to a strawberry-shaped building functioning as the information room. The sphere in this town square is even merrier at night. Colorful lights furnishing the park and the trees are cheerfully welcoming visitors. Things to do in Malang Indonesia? 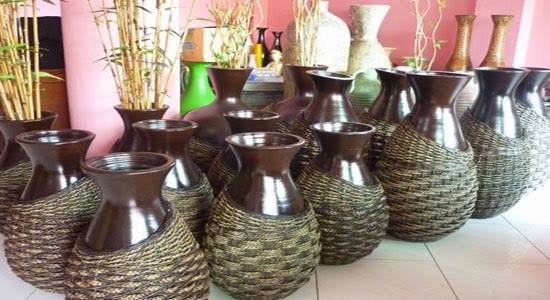 While bringing home snacks as souvenirs has been too common nowadays, you have an interesting option of unique ceramics handicrafts to take home. Here at the Dinoyo Center you can find no less than 30 handicraft shops selling such items. From flower vases, ewers, mugs, and plates, to table and wall ornaments are here for sale. All items use plants and animals as motives, which is typical of the Dinoyo Center. Besides direct buying for taking home, you can also order such items in big numbers for souvenirs at wedding ceremonies and other events. 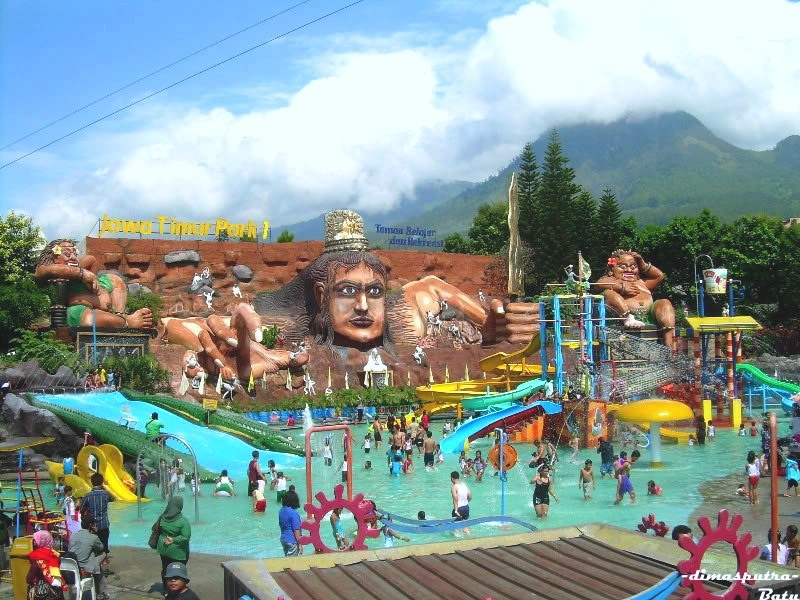 These are just a few among many other tourism attractions in Malang waiting for your visit. By now, at least you have had a quick glance of what kind of extraordinarily unforgettable experiences you will surely have while touring in and around the Apple City. 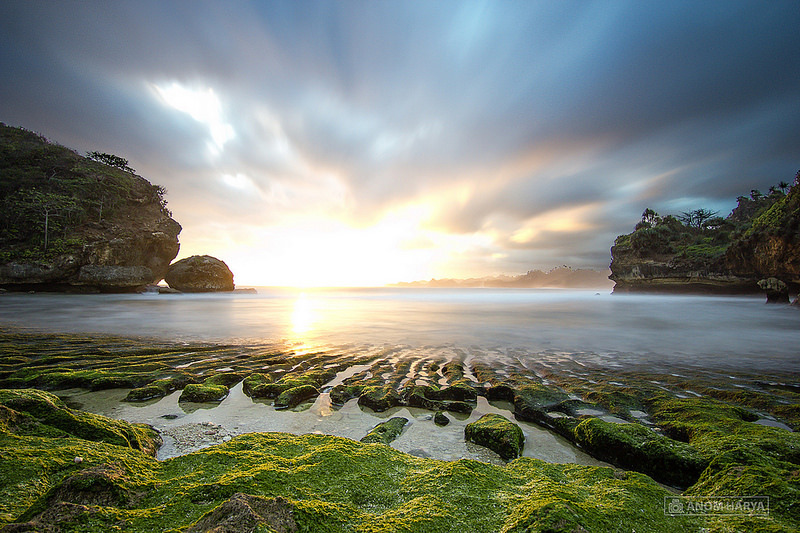 So, let’s go holiday and check out those things to do in Malang, Indonesia.